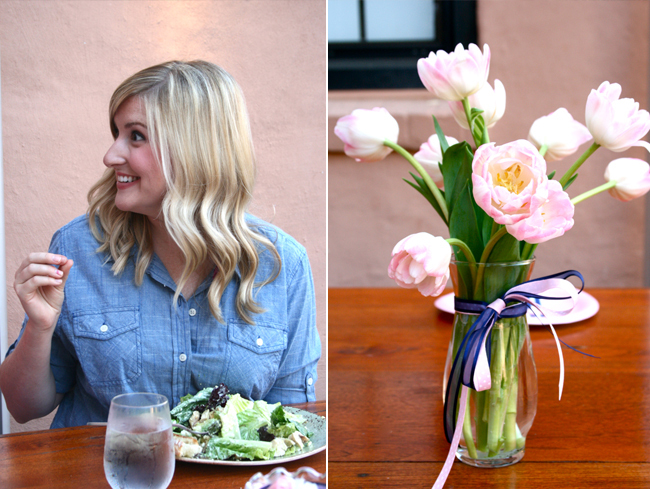 Last Thursday my sweet friend Jamie threw me THE CUTEST little baby shower at Tender Greens with some old friends from where I use to live--Oh my gosh it was perfect. I loved that we could all just sit at a table, chat with everyone who was there, and enjoy one another's company. 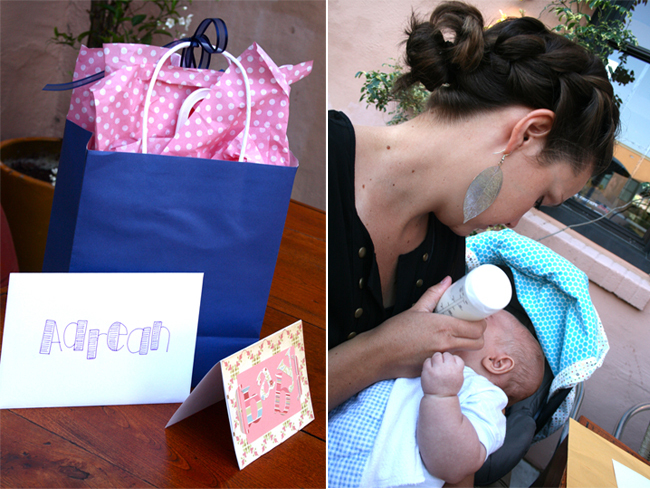 I'm just going to brag a bit about Jamie--who put so much thoughtful effort into this shower! She had my favorite flowers (tulips) set up in the middle of the table, mini nothing bundt cake cupcakes that were to die for delicious...little bowls full of my favorite candy (strawberry taffy) and the cutest little cut-out napkins in the shape of a tiny dress! To top it off, she secretively had my husband write the sweetest letter to me, which she read out loud (and I may or may not have shed a tear or two--I blame the preggo hormones *wink). It was a perfect evening with some of my favorite gals! There is nothing better than gathering with some dear friends, to celebrate something so special. I didn't get very many photos but here's a few! Loved the pink, blue and white feminine nautical them! Thanks gals for makin' me feel so darn special! p.s. do any of you have a good suggestion for a double stroller? I'm in need of some good advice! Wow. I'm going to go die now. Nothing like seeing an uncropped, unedited photo of yourself to stop you in your tracks and make you say, "I need to lose a large amount of poundage." Liz you are out of your mind! As a random stranger, can I just say that I stopped scrolling to pause at your picture and think, "Wow, she is really pretty!" We're always hardest on ourselves. It's true. You're a beauty LIZ!! What a beautiful shower! How exciting! Phil and Ted's have AWESOME double strollers. Expensive, but awesome. Just so you know. And PS, you are stinkin adorbs. The End. Everything looks so pretty. Congratulations again. beautiful photos. what a pretty cupcake! congratz! So sad I miss it!! You are just about the cutest preggo girl I ever did see!! Can't wait to see baby girl #2!! we sure did miss you Kristi...you're always the life of the party :-)! 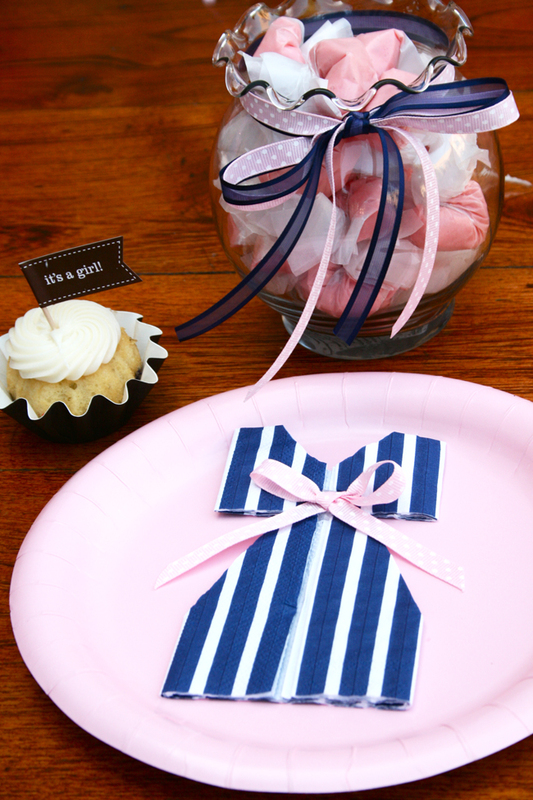 Such a cute baby shower! I hope all goes well with baby number two and she is just as lovely as the first. Everything looks awesome. What a great way to have a shower! Awwww such a cute shower! I love your dress and that cupcake. Congrats on baby #2! And thanks for your sweet comment on my blog! How fun and too cute!!!! Wish I could've been there. I miss all those beautiful faces so much! !